Pursuing wild turkeys can be oddly addictive. Of course, there are exceptions to every rule and for many years, I was one of those exceptions. I’d tried turkey hunting off and on, and found many ways to mess up while doing so. I’d had close calls and hard times and hadn’t gotten a bird, nor even had a real shot at one. My enthusiasm waned. One day, that changed. It was the day when we managed to actually get some young, stupid gobblers to come to our calls, and I shot one of them. I was hooked. During deer season, turkeys are brave and bold. They casually stroll along, scratching and pecking and making deer hunters wish they’d either go away or transform into big bucks. Generally, the turkeys do neither. On one such occasion, I was bored and I had a camera. I took a bunch of turkey photos that day. Back at camp, I copied the pics to my laptop and took a look at them. Lo and behold, one hen had a beard! I hadn’t noticed it when watching the birds. I asked an old timer in camp about it; this guy loved to hunt just about anything, and had done a lot of it over the years. He said he had only seen one bearded hen in his life, which told me there must not be many of them roaming around. Come turkey season, I hunted long and hard for a mature gobbler, beginning on opening morning. 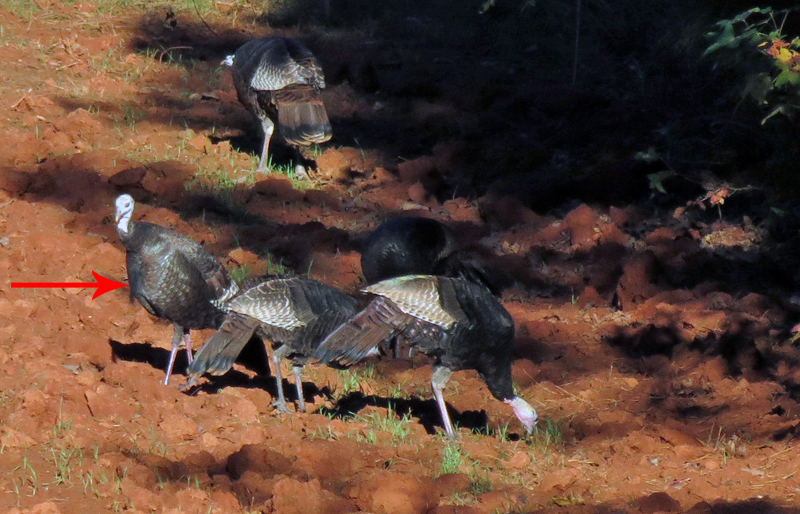 I could have shot any of the three jakes which came easily to my calls, but I was unable to catch up with a longbeard. A few weeks later, I returned to camp to give it another try. On the first morning, I called in a turkey. As it approached, I could see its head before anything else, and its skinny, drab noggin and overall size made me reckon it was a hen. Then it approached closer, and I thought I glimpsed something. Something on its chest… a beard. The bird got behind a tree where I couldn’t see its breast, and it got nervous. Just before it fled, I thought I confirmed the beard — but it was only a flash, so I can’t be certain. Would You Take a Bearded Hen? 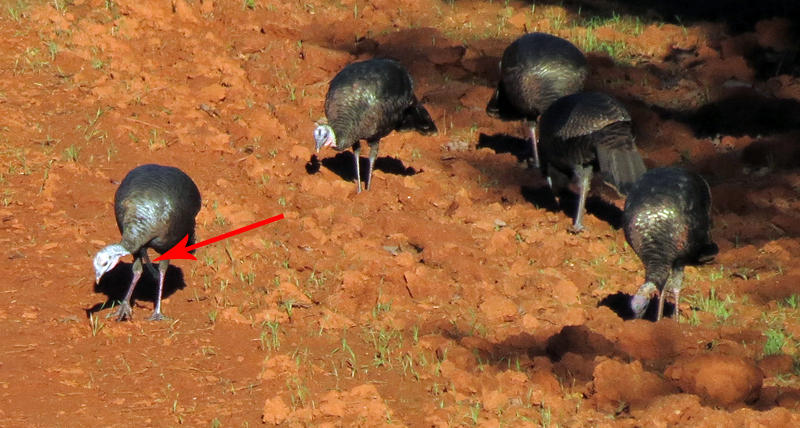 Some sources say that 10%-20% of wild hen turkeys do have beards, but in my experience they are less common than that… although most of the time we don’t really look for a beard once we determine a turkey is a hen. Many of the hens I’ve seen in the wild could have had small beards and I might not have noticed. Even if it was legal to take a bearded hen, I don’t know that I would do so… although a hen might eat better than a big ol’ tom. Would you? Do yourself a favor and check local regulations where you hunt, to determine whether a bearded hen is legal game or not. Dropping the hammer on a bird based solely on its beard might make you a poacher, and that’s no good. The post Turkey Hunters: Watch Out for the Bearded Lady appeared first on AllOutdoor.com.